A very important aspect of owning a car is its proper maintenance and upkeep. And, the maintenance of the car’s engine is the key to a well-maintained car. The best way to ensure that your car is in top running condition is to get the car engine tuned regularly which also includes checking the spark plug and replacing it if required. 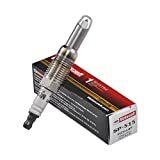 A spark plug is a pair of electrodes and is an important component which is essential to the running of your car engine and it works by delivering electric current from the ignition system of the car to the combustion chamber. The electric spark that is produced kindles the mixture of fuel and compressed air and powers the car engine. Every time a spark is produced by the spark plug, a tiny amount of metal is eroded from the plug and over time with use, a gap is formed between the spark plugs which hampers the sparking efficiency and the car begins to run rough, misfires and starts to consume excess fuel; and, eventually the “check engine” light starts flashing. So, when your car begins to display all these signs, the solution is extremely simple. All you need to do is replace the spark plug and it is so simple that you can do it on your own without having to take your car to the service station. Typically, car manufacturers and mechanics recommend that you replace the spark plug every 25,000 to 40,000 miles run by the car. Making use of high-quality spark plugs ensures that your car gives the best performance and runs efficiently. These are the most inexpensive variety of spark plugs. Copper core spark plugs work at much higher temperatures when compared to the other varieties and are very good conductors. You can expect the copper spark plugs to last around 20,000 to 40,000 miles. The spark plugs made of iridium are less conductive and they work at much lower temperatures. Typically, iridium spark plugs last for around 40,000-60,000 miles, but they are prone to get overheated. However, in terms of performance, they offer quite a lot before they need to be replaced. Platinum spark plugs are higher in quality when compared to iridium ones and last around 40,000-80,000 miles. Double platinum spark plugs are improved versions compared to the single plated platinum spark plugs. Although these spark plugs are not the best conductors, they are the best in term of the quality and have a longer lifespan and offer enhanced engine performance. Here are some factors that you must evaluate before deciding on the right ones for your car. You must know the details of your car as this will help you buy the right kind and size of spark plugs. Information such as the year of manufacture, model and make, engine size or displacement, fuel injection type and the number of cylinders is required. This information can be found on your car’s registration card. Your car manual will also give you specific details of the type of spark plugs you should buy for your vehicle. You not only can get the size of spark plugs required, it will also probably suggest the brand of spark plugs required. You should buy spark plugs of high-quality and not try and save money by cutting corners. Buying good quality spark plugs can help you save quite a bit of money in the long term. In fact, you will be able to save significantly more amount of money than you would by saving on buying cheaper spark plugs. Also, a high-quality spark plug can save you money on fuel consumption in the long run. You can determine that a spark plug is of high-quality by looking at the materials and the design features of the spark plug. For several years, copper core spark plugs were the ones that most people used; however, today, you have better quality spark plugs made of other superior materials such as double platinum, platinum and iridium that will enable your car to run more smoothly for a longer time. Other things that determine that the spark plug is of higher quality are things like the grooves that cut into the electrodes or the spark plug seals which are specially designed to control the flashover when the spark plug is fired up. 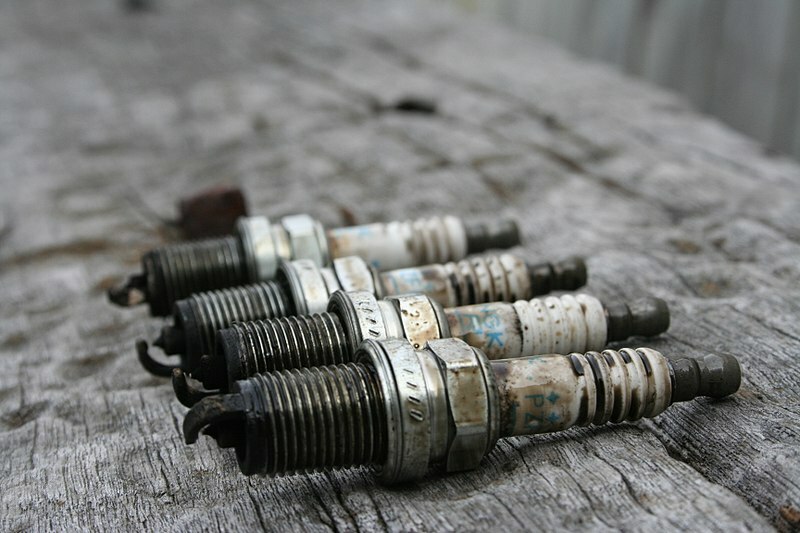 When you buy a spark plug for your car, consider the main purpose for which your vehicle is used. Spark plugs used in high-performance sports cars that you use occasionally on the weekends are quite different compared to the ones used in standard cars that you use for your daily commuting to work and for other jobs. Deciding on the kind of spark plugs for your car can be quite challenging, especially given the number of options available. We have reviewed some of the best spark plugs and compiled a list of some of the best spark plugs you can consider for your car. If you live in an area where the climate is cold, then the ACDelco Professional Iridium Spark Plug is a great option to consider for your car. The spark plugs are equipped with a small electrode that is designed to enable your car to start up easily in the cold. The high-quality electrode enables the efficient ignition of the fuel and ensures that your car engine runs extremely smoothly. The single-piece design of the suppressor seal helps in preventing the leakage of the combustion fuel. Since they are made of iridium, the spark plug enables your vehicle to have smoother acceleration, better idling stability and longer lifespan compared to copper core spark plugs. The iridium spark plug enables easy idling and smoother running of your car engine. The small electrode of the spark plug enables faster acceleration. The suppressor seal of the spark plug blocks any radio interference that protects the other electronics in your car. The electrode burns the carbon deposits on the spark plug’s tip before they build up. The ACDelco Spark Plug may not be as good as the plugs that come inbuilt in the new models of cars. Overall, the iridium coated spark plug from ACDelco is extremely efficient offering quick start-up of your vehicle in cold weather and faster acceleration. 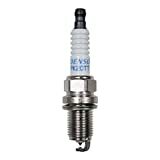 The ACDelco Professional Iridium Spark Plug is sturdy, durable, long lasting and is an excellent spark plug for a utility car, as well as a sports model that offers excellent fuel economy. All these features make the ACDelco Spark Plug a great accessory to consider for your car. If you have a car with a high-performance engine and are on the lookout for spark plugs to match this high-performing engine, then you can definitely consider the NGK Iridium IX Spark Plug. The NGK spark plug has an extremely durable construction and the hard retrial iridium and the 0.6 mm laser-welded conductor tip can last for around 40,000-60,000 miles before requiring replacement. The spark plugs improve the response of your vehicle’s throttle and offer a stable spark at every start-up. The NGK spark plugs are equipped with a triple gasket seal and an insulator nose that is longer than other spark plugs in the same category, which makes them less susceptible to misfiring or malfunction. These spark plugs also have excellent anti-seizing properties. Metal plating of the spark plugs makes it resistant to seizing and corrosion. The long insulator nose of the spark plug prevents it from failing. The triple gasket seal stops the combustion fuel from leaking. Iridium makes the spark plug sufficiently durable for the most high-performance car engines. The ribbed insulator ensures that flashovers are prevented. May not perform very well in cars of German make. The NGK spark plugs are durable and a great option for high-performance cars and helps to improve the engines idling. 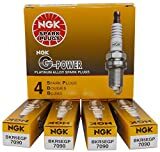 Although they are not among the cheapest spark plugs available, the NGK spark plugs are an excellent option if you are looking for spark plugs that are efficient and long-lasting and reduce your spark plug replacement frequency. Manufactured especially for Ford cars, the Motocraft spark plug is designed according to the exacting Ford emission and performance standards. The Motorcraft spark plug delivers enhanced fuel efficiency and quick and trouble-free starts. The spark plug guarantees smooth acceleration up to 40,000-60,000 miles. As it already comes calibrated, the spark plug does not require gaping and is extremely easy to install. The copper-glass seal bond insulation ensures that the terminal electrode produces the full voltage that is required, which prevents any misfiring. The spark plug shell is nickel-plated, which prevent corrosion. The tip is made of fine wire platinum, which offers improved performance. Quite economical in terms of the cost. Does not have anti-seize and requires an application of anti-seize while changing. Does not fit every Ford car model. The Motorcraft spark plug is a high-quality plug that will ensure that your car will run very smoothly and does not require frequent changes. Overall, the durability of the spark plug, along with the economy in terms of the cost, makes the Motorcraft spark plug a great buy for your vehicle. Spark plugs have been a very important component of an optimally operating car engine. Irrespective of whether you’re looking for spark plugs that are high performance or you need them for everyday use, there is a spark plug in the market for your every need. It is a good idea to check out the various options of spark plugs available and decide on the one that is ideal for your car and which will optimize its performance the most.